In the wake of this weekend’s record-breaking release of Star Wars: Episode VIII - The Last Jedi, USA Today released a definitive ranking of the franchise’s best films. Fan favorite Episode V: The Empire Strikes Back was ranked number one - the only Star Wars film with a credited female screenwriter. 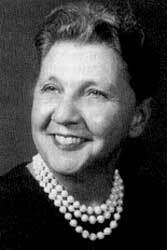 Though her role in crafting the screenplay is disputed, Leigh Brackett is co-credited on writing the script with Lawrence Kasdan, who went on to co-write Episode VI with franchise creator George Lucas after Brackett’s death. Brackett was the first woman shortlisted for a Hugo Award, a literary award given annually for the best science fiction or fantasy works and achievements of the previous year. The Empire Strikes Back was awarded the Hugo in 1981, three years after Brackett’s death. Although Lucas disputed Brackett’s contributions to the final film (her original screenplay draft was never used nor published), io9 co-founder Charlie Jane Anders has written that while "It's fashionable to disparage Brackett's contributions to Empire, it's not true that none of Brackett's storyline winds up in the final movie — the basic story beats are the same." Her original draft, which contains a more overt love triangle and dramatic duel between Luke Skywalker and Darth Vader, can be read at the Jack Williamson Special Collections library at Eastern New Mexico University and the the archives at Lucasfilm in California. Christie also went on to honor the influence of Princess Leia on her childhood - a character created by Lucas, but whose strength and presence was truly honed and refined by Brackett and Kasdan in The Empire Strikes Back. In Episode VII: The Force Awakens, the late Carrie Fisher reprised her role as Leia, the most notable female character in the original trilogy. She is now the general of the resistance in her final appearance in The Last Jedi, shot before her death in December 2016. 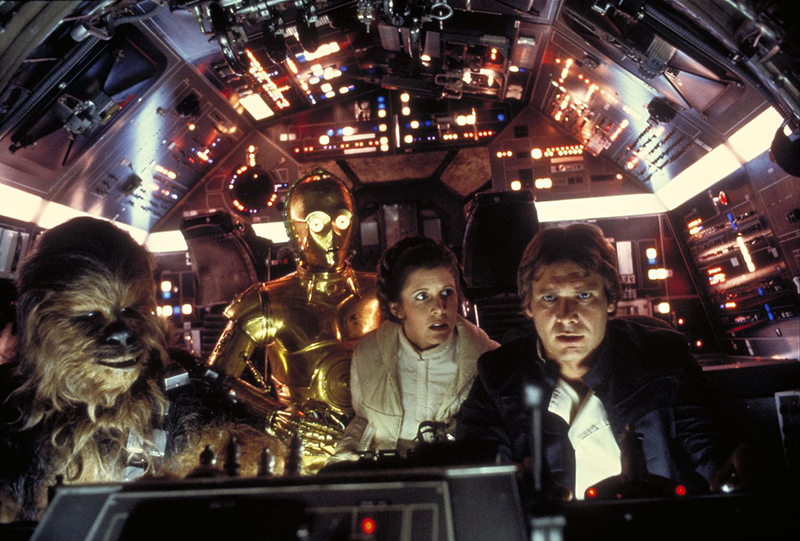 Photo Credits: © Lucasfilm Ltd. & TM. All Rights Reserved.